Easy to Choose. Easy to Operate. Easy to Love. All Inclusive. No Subscription. No Hidden Fees. EZ-VOTE Audience Response System (ARS) is easy to use and supported for the life of the system. Each system comes with the EZ-VOTE Connect Suite, which includes polling apps for PowerPoint, Prezi, interactive team games, or video presentations to match your training methodology. You can use dedicated clickers, mobile devices, or both (hybrid) in your presentations to include everyone, even when it’s least expected. We offer 4 distinct types of clicker options to match the diverse needs of the training, education, and live event communities. Our keypads communicate via a secure, proprietary radio frequency technology, and do not require Internet connectivity. You can easily buy more keypads after the initial purchase. Multiple kits can be combined into a single, big one, or they can be programmed to work independently, even when they’re right next to each other. We deliver our systems completely programmed and configured to your specification. All of the EZ-VOTE systems include free lifetime support and training from our U.S. headquarters. Additionally, once you buy a system, it is yours to own. There are no annual fees/subscriptions, support contracts, or download and installation restrictions on you, or your colleagues. EZ-VOTE 5 is our smallest and most budget-friendly system. It features 5 voting buttons, a 1/2 inch display, and key fob design. EZ-VOTE 5 is lightweight, ultra-portable, and works with all basic question types. Ideal for nonprofits & startups. EZ-VOTE 10 is our most popular audience response system. It features 10 response buttons and a large display with confirmation and multi-vote functionality. EZ-VOTE 10 is routinely selected by trainers, educators, speakers & electors. EZ-VOTE HD stands for Heavy Duty audience response system. With long-lasting AAA batteries, best-in-class durability, and extended range, it is the preferred choice of police, fire, government and military professionals. EZ-VOTE PRO has the largest display and most advanced features. With dedicated Yes/No/Abstain buttons, free-form texting and an extended range, EZ-VOTE PRO is utilized by audio visual teams, live event experts, & market research groups. How many keypads can I buy? Our smallest kits are sold in quantities of 20 keypads. Each kit contains a base receiver (USB “stick”), carrying case, unlimited support & training, and 1 year of CloudVOTE mobile polling and content management subscription. You can buy any number of additional keypads. Each base receiver can handle up to 500 keypads. If you need more than 500 keypads, simply purchase another base receiver and plug it in along with the first one (additional configuration may be necessary). Can I use interactive slides within my old PowerPoints? Yes. EZ-VOTE Connect software does not interfere with your non-polling (non-interactive) slides. You can create a presentation made entirely of polling slides, or you can insert the polling slides in between the regular content slides. Can I combine different types of keypads? For example, since our ProVOTE Classic keypad has been retired, the replacement EZ-VOTE HD keypad was designed to work together with the older systems. On the other hand, EZ-VOTE HD and EZ-VOTE 5 keypads may have the same single-digit display, but they don’t have the same number of voting buttons. Similarly, while EZ-VOTE HD and EZ-VOTE 10 both have 10 voting buttons, they have very different styles of display and therefore their voting capabilities are different, too. How can the clicker systems be configured? Matching clickers to a specific base (Fixed Match) ensures that the votes from Clicker Group 1 are only registered with Base A and votes from Clicker Group 2 are only registered with Base B, no matter how close they are to each other. You can still combine the two systems and create large group if you connect both bases to the computer. Keypads must be numbered in sequential order for this to work correctly. Free Match configuration allows you freely add more keypads to the existing group as long as they are numbered in sequential order and you can use any keypad with any base in Free Match mode. You should never operate two systems in Free Match mode next to each other (within the range) as you will have no control over whether votes are registered with Base A or Base B. How many receivers do I need to buy? One receiver per kit/system. Each receiver can handle up to 500 keypads. You’ll need a new/additional base receiver if you want to create a second kit/group of clickers and use them concurrently with the first kit, or have it available as a backup. You can customize the keypad membrane to match your branding, personal taste, or specific function (e.g. if you’re only going to use the clickers for Yes/No/Abstain election). Click here to learn more about this service and contact us for a quote. EZ-VOTE Connect works great with each of the 4 keypad options outlined above. Each clicker is super simple to use and quick in collecting responses from participants. To match your need and budget with the right device check out the feature chart above and/or give us a call to discuss your need. You can also ‘test drive’ an audience response system for 14 days. 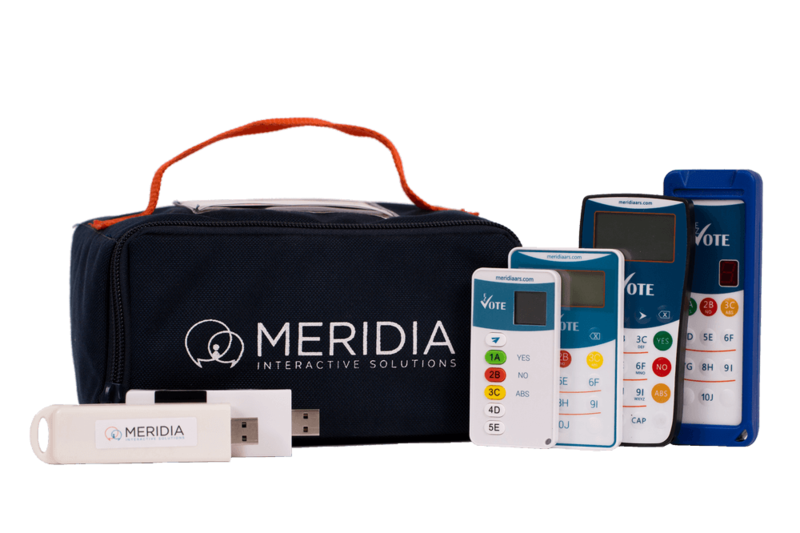 Just request a demo kit and we will send you a set of wireless clickers, USB receiver and software. Live Training. Unlimited Support. No Subscriptions. All of our systems come with live instructor-led training, 24/7 access to our knowledge base, lifetime support, modern software and keypad carrying cases for convenience and storage. It is truly a plug-and-play tool: unpack the clickers, plug in the USB receiver, download the software and you’re ready to go. Our EZ-VOTE Connect polling software does not need internet connection, ongoing subscription, or service contracts. It will never stop working with your clickers, nor the clickers will stop working because you didn’t pay something. Can I Use Mobile Devices? Each of the hardware systems we sell comes with 1 year of free mobile polling via our CloudVOTE service. 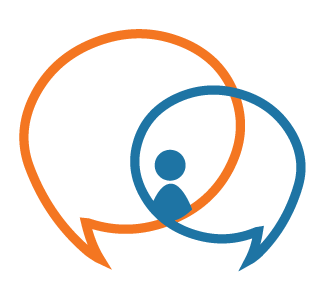 CloudVOTE lets you use phones, tablets, and computers to respond to questions in conjunction with, or in lieu of dedicated audience response clickers. If you are looking to only use mobile devices as a replacement for dedicated response systems, simply visit our mobile service www.cloudvote.com and subscribe to a monthly or yearly plan.